What is it like to be a preacher or rabbi who no longer believes in God? 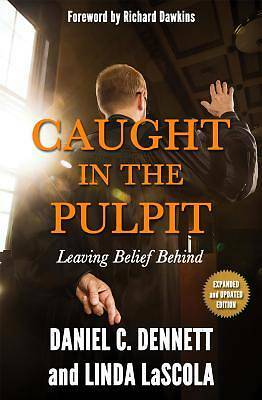 In this expanded and updated edition of their groundbreaking study, Daniel C. Dennett and Linda LaScola comprehensively and sensitively expose an inconvenient truth that religious institutions face in the new transparency of the information age--the phenomenon of clergy who no longer believe what they publicly preach. In confidential interviews, clergy from across the ministerial spectrum--from liberal to literal--reveal how their lives of religious service and study have led them to a truth inimical to their professed beliefs and profession. Although their personal stories are as varied as the denominations they once represented, or continue to represent--whether Catholic, Baptist, Episcopalian, Methodist, Mormon, Pentecostal, or any of numerous others--they give voice not only to their own struggles but also to those who similarly suffer in tender and lonely silence. As this study poignantly and vividly reveals, their common journey has far-reaching implications not only for their families, their congregations, and their communities--but also for the very future of religion.